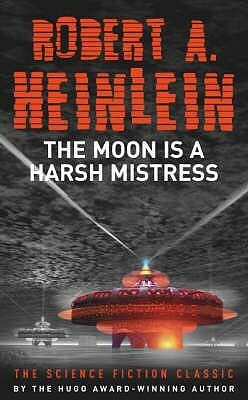 It was good and I love Heinlein, but it hasn't aged that well. It's a must-read classic anyway. It is the year 2076, and the Moon is a penal colony for the rebellious and the unwanted of Earth. The exiles have created a libertarian society in order to survive in their harsh and unforgiving environment, their motto being TANSTAAFL: "There ain't no such thing as a free lunch". Looming over them is the Luna Authority, the heavy-handed Earth administration, who trades life necessities to the "Loonies" in exchange for grain shipments to the starving populations of Earth. As the situation steadily deteriorates the inhabitants of Luna come to realize that they have little choice but to revolt against Luna Authority in order to save themselves from resource exhaustion and a subsequent environmental apocalypse. A small band of dissidents emerges to lead the revolution. This consists of a one-armed computer jock, a radical young woman, a past-his-prime academic, and a nearly omnipotent computer named Mike. These people ignite the fires of revolution, despite the near certainty of failure.